EARRINGS - SARAH COVENTRY. "FINESSE" FROM 1980. 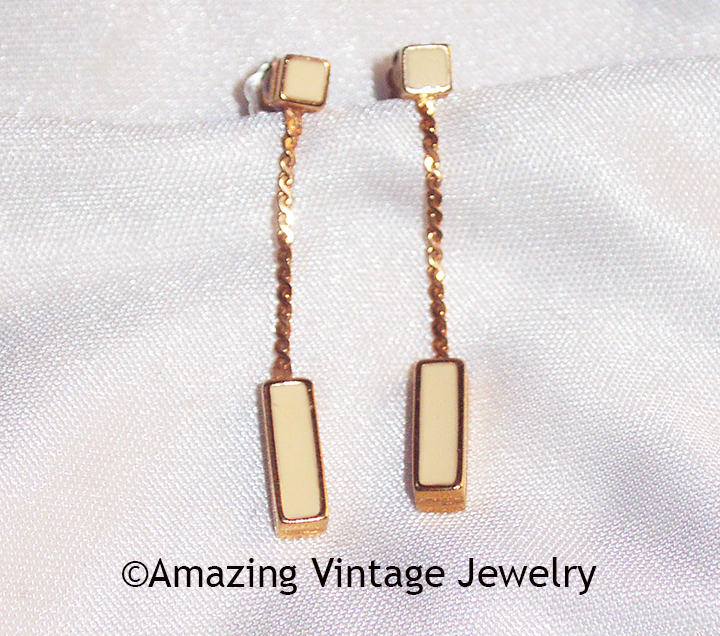 GOLDTONE GEOMETRIC SHAPES WITH CREAM/ALMOND INSETS. PIERCED. 1 1/2" LONG, 3/16" ACROSS. EXCELLENT CONDITION - IN THE ORIGINAL BOX, ON THE ORIGINAL CARD.